Melody S. Holt, educator turned entrepreneur, is a motivational speaker, author, loving wife and mother, CEO and co-founder of a multi-million dollar business, and world traveler. And that’s just the beginning. After graduating from Alabama A&M University with a degree in education, Melody began her career as a middle school English teacher. While teaching, she and her husband Martell, also an educator at the time, started their lawn care business. As if they weren’t busy enough, one of their lawn care clients happened to inquire about the Holts winterizing a home. Although they had no prior experience, they were always ready for their next challenge. With a bit of research and quick preparation, they were able to add property winterization to their roster of services and completed the client’s task in record time. The couple then realized that there was not only a market for residential and commercial lawn care, but property preservation as well; thus, Holt & Holt Entrepreneurship, LLC was born. Holt & Holt has become a top rated preservation company specializing in home expansion, rehabs and restoration, and complete home remodels. Since its inception, Melody and Martell have expanded Holt & Holt to service the states of Alabama, Mississippi, Florida, Arkansas, Illinois, Texas, and Virginia, all within a seven-year period. In 2016, the Holt’s launched Holt Custom Homes where they assist clients in navigating the home building process through exceptional, customized service. This expertise has contributed to The Holts negotiating a television show deal with an exceptional network to be announced in the coming months. Accordingly, Melody’s community involvements are as vast as her business endeavors. 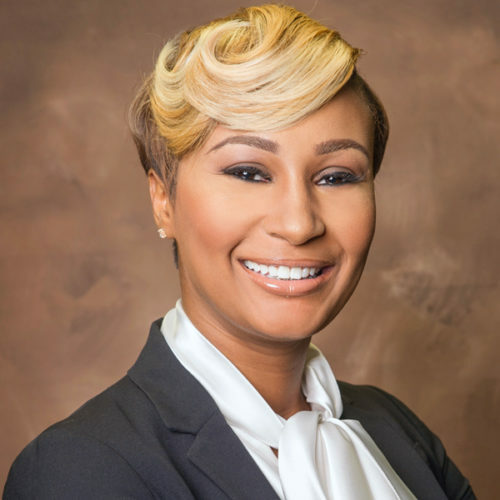 She currently serves as advisor to the College of Business and Public Affairs at her alma mater, Alabama A&M University; chair of the Huntsville/Madison County Chamber of Commerce Women’s Business Council (WBC); member of the Women’s Economic Development Council (WEDC), and is a proud member of Alpha Kappa Alpha Sorority, Incorporated. Her recent speaking engagements include the Vivica A. Fox Legendary Brunch; Bronner Brothers Hair Expo; Huntsville Urban Engine Shark Tank Event; the Safeguard Vendor’s Regional Conference; and featured speaker at the Women’s Business Council quarterly forum. She has also been featured in Sheen Magazine, iPush Magazine, The Valley Weekly, 256 Magazine, and on several blogs. She remains in steady demand because of her natural ability to captivate audiences with words of inspiration. Melody, through example and speech, hopes to serve as a testament that “the only road to success is the one paved with hard work”. For her, failure is never an option, and she does not believe that it should be an option for others either. Likewise, the story of Melody Holt is ever evolving and she will be one to watch for years to come.